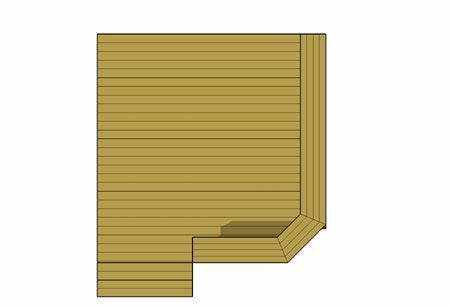 This is a basic 12' x 12' deck with one clipped corner. 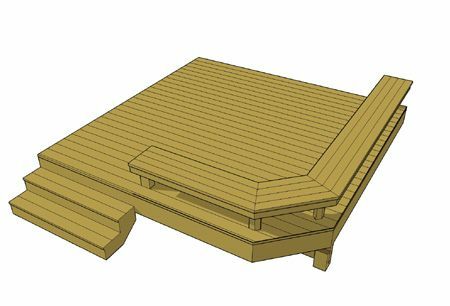 The deck is built on a very low elevation and does not require guardrails. A built in bench is positioned across the front of the deck to add definition, an element of style, and a functional seating area. This deck is very inexpensive and easy to build.